San Diego, California is known as “America’s Finest City” and for good reason. San DiegoCA has fabulous beaches, year round warm temperatures, clear skies, vibrant communities and a healthy economy. The list of recreation opportunities in San Diego goes on and on including world class resorts, amusement parks, golf courses, deep sea fishing, sailing, surfing, windsurfing and kayaking. It’s impossible to see it all and do it all in San Diego in just one vacation. That’s what keeps visitors coming back for more, year after year. Many even choose San Diego as their new home. San Diego is a great place to live, work and play. A thriving downtown, a healthy economy and strong industrial centers offer job opportunities in numerous industries. Award winning school districts are another important factor in the quality of life that San Diego offers. San Diego’s coastal communities each have unique characters that will win your heart. Who can resist seaside living and vacationing? From the urban downtown lofts to the quaint cottages on the pier, San Diego has something for everyone. Oceanside is known for its strong military presence but is reinventing itself as a family friendly destination. It is one of San Diego’s most affordable coastal communities and features three and a half miles of public beaches, a 1000 boat harbor and one of the longest wooden piers in the west complete with a restaurant at the end of the pier for a unique dining experience. The coastal village of Carlsbad brings together old world charm, world class resorts, nature preserves and amusements galore together. With three beautiful lagoons and seven miles of beach, Carlsbad is a true coastal wonderland. Del Mar is where the ‘surf meets the turf’ and his home to thoroughbred racing at its famous racetrack. Fabulous, and often less crowded, beaches and fine dining round out a visit to Del Mar. Del Mar is a largely residential community with easy freeway access and plenty of shopping. The crown jewel of San Diego is La Jolla, literally “The Jewel” in Spanish. With its mega-million dollar homes, art galleries and upscale shopping, La Jolla drips with wealth. The La Jolla coastline is stunning and accessible. 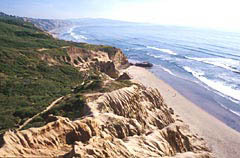 La Jolla offers some of the best beaches and water activities in San Diego County. Classic beach towns like Pacific Beach and Mission Beach offer the best boardwalks, the Crystal Pier, arcades and a roller coaster. These towns are the rowdier beach towns with plenty of surfers, sunbathers and swimmers. While there’s a party atmosphere to these towns, they’re kept in check by bicycle riding police officers who help keep the peace. Point Loma and Coronado are coastal communities closer to downtown. Both are upscale communities featuring beautiful homes, awe-inspiring views, fine dining, resort lodging and plenty of recreation. If you want to live close to downtown and on the coast, either of these fine communities fit the bill. Across the bay, downtown San Diego is the hip and happening place to stay. The Gas Lamp Quarter features loft style living, fine dining, excellent nightlife, lodging for all tastes and budgets, cool art galleries, shops and antiques - all wrapped up in a pretty package. 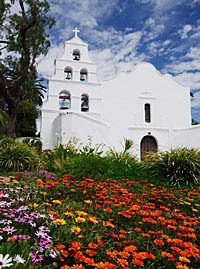 South Bay communities such as Chula Vista and National City are options to some of the higher priced coastal towns. These areas are more industrial but have their own unique charms. The beach towns are by far the main attraction of San Diego, California, but the inland communities are also wonderful destinations. Spend some time exploring San Diego, you’ll fall in love with the area and want to come back again and again. 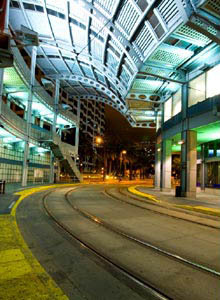 The communities mentioned above are just a taste of the many coastal communities San Diego offers. Explore our website for more details about the vibrant and lively towns of greater San Diego County. Every day is a “Chamber of Commerce” day in San Diego CA. As you explore our website, you’ll find everything you need to make the most of your visit. You’ll find lodging, dining, attractions, vacation packages, car rentals, a wedding guide, real estate information and more.